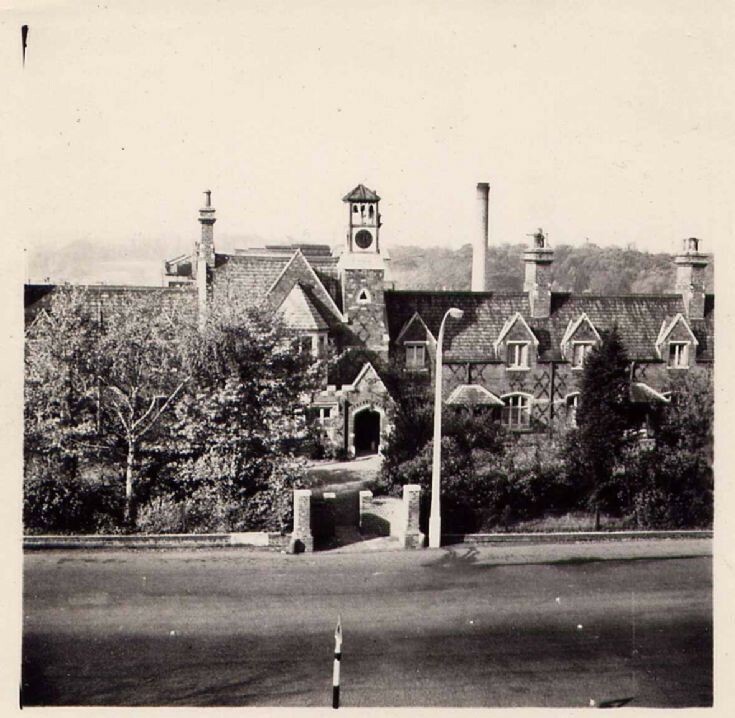 A view of the Waterfall Road frontage, and main entrance, just a few years before the houses were closed and demolished. Hi from South Africa - Thank you so much for this photo of New Southgate Clock and Watchmakers Asylum Almshouses. My Gt Grandfather Johann Gottlieb Ulrich ended up there in 1875 and his story is amazing but sad so it is great that I can now put him to rest after finding where he last lived out his life. Tk you. Like the other comment, it's nice to see that a lost lost relative in 1881 (Walter GOOCH and his wife Matilda) where he appears to have spent his last years of his life, first as a warden, here. Compared to other "old people's homes" of the era, this would have been one of the better. Thank you - wonderful to see this - I was aware of it from old maps of the area, but this is the first time I can actually see what it looked like. Looks rather grand! Christopher, It was rather grand. We have two other views of it in the gallery: nos. 118 and 4297. In the late 19th century it was surrounded by countryside. A very nice place to retire to. My 3rd great-uncle William Baker Crisp with his wife Sophia spent his last years there. He was recorded there at he time of the 1891 census aged 72 until his death in 1895. From South Africa 12 Dec 2016 Thank you for sending me updates of messages re The Clock and Watchmakers Asylum where my Johann Gottlieb Ulrich once lived.Would anyone know at all where there could be records of the people who stayed there. Where could I search! as would love to find out if my ancestor died there and from what. He died 1875 aged 78. Getting death certs from S.A. with the exchange rate! at the moment I cannot afford and I know all about his life except where he is buried etc. Appreciate any help Many tks again and happy xmas Regards from Carol Harris in Port Elizabeth, S.A.